Avery House Care Home offers residential and dementia care in a modern care home located within landscaped gardens in Hampton Vale on the outskirts of Peterborough. All accommodation is en suite with a wet-room style shower. The homes offers a hairdressing salon on site and a vibrant activities programme. 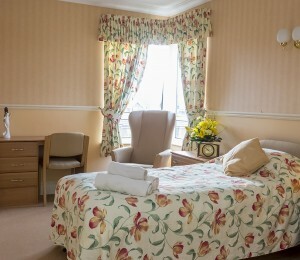 The home provides residential, respite, palliative and dementia care. Bedrooms are set across four floors and each floor has two living rooms and its own dining room, allowing residents to relax and socialise. Residents can enjoy the home's landscaped gardens which include a seating area and gazebo, which is ideal for socialising. Meals are freshly prepared on-site by trained chefs, who offer a range of nutritious and tasty meals, catering for special dietary requirements. While the activities coordinators are responsible for overseeing a varied and busy activities programme, ensuring that there is something for everyone to enjoy. All our rooms are en-suite with walk-in showers. There's also a flat-screen TV for enjoying your favourite programmes or watching a film in the privacy of your room. We understand that moving into Avery House will be a considerable transition, but one we try to make feel as easy as possible. Your room is your own personal space, which is why we encourage you to personalise your room if you like, by hanging your favourite pictures or bringing small pieces of furniture.